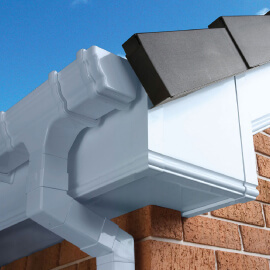 Our uPVC fascias & gutter products finish off the area around the eaves or roof of your home. 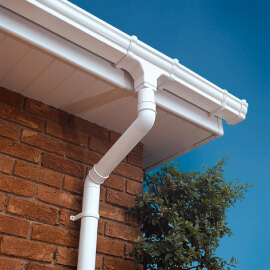 These include soffits, fascias, guttering and downpipes. All year round they are under constant attack from the weather making it difficult to preserve existing woodwork. With over 20 years of experience installing and maintaining uPVC fascias & guttering, you can be sure of quality. You'll be surprised how inexpensive it can be to replace your old decaying roofline with our uPVC fascias and guttering.